My wife, Janet, & I moved to Pakenham last August, after over 44 years at Oakleigh. Thank you so much for your review, Fred and Janet. It is wonderful to see your before and after pictures. The new kitchen looks about twice as big as the one it replaced - with far more storage! Absolutely love my new kitchen. The whole process from beginning to end has been a breeze thanks to the wonderful team at Smith and Smith Kitchens. Thanks for your review, Fred. It was a pleasure working with you. We love your black handles on black cabinetry - a very on trend look! Enjoy your new space. Thanks so much for your review, Rochelle. So pleased you are delighted with your kitchen. It makes our job all the more rewarding. Thanks so much for your review, Meredith. Three kitchens by Smith & Smith is certainly a testament to your happiness with our product! We love what we do and are glad you do too. 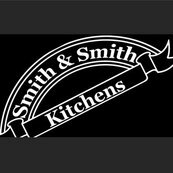 My new Smith & Smith kitchen was installed in late October 2015 and a big ‘thank you’ to all the team for the wonderful outcome.